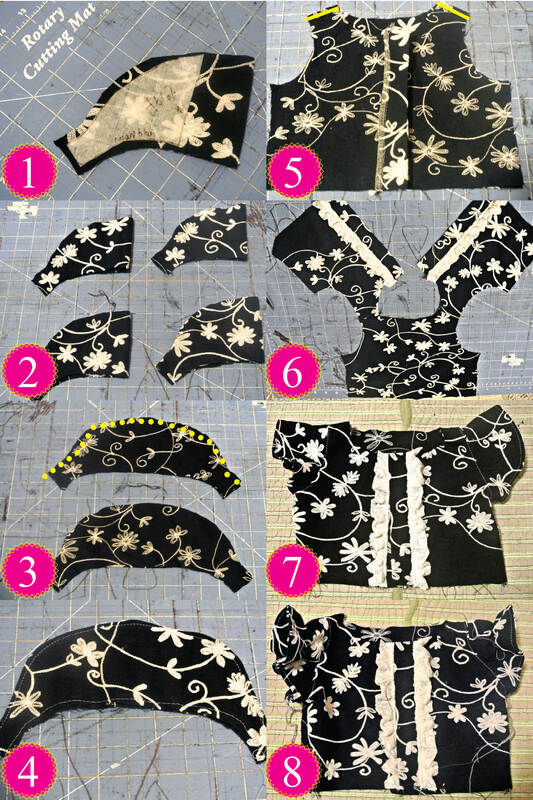 I know this won’t be new to a lot of people, but if you have tried a few seemingly simple applique projects and failed, this might help you. 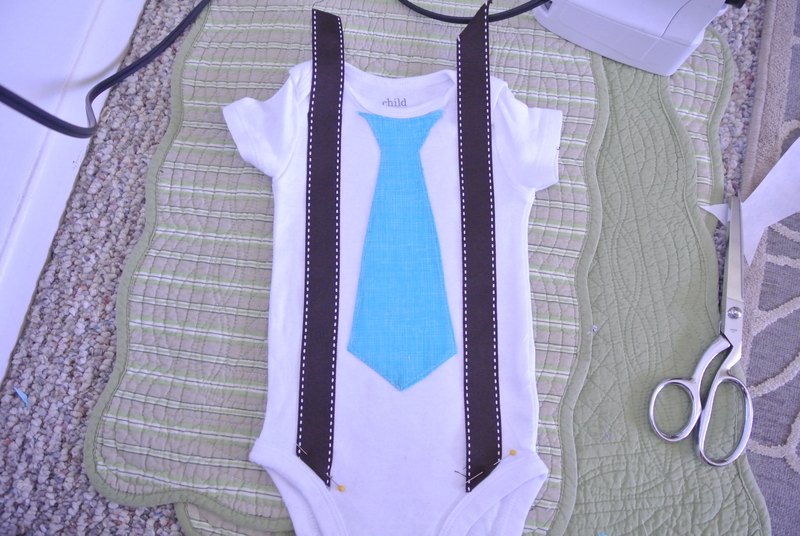 I used to make appliqued shirts for my little boy and I got so frustrated when I had to pin my material to my shirt and sew it on without stretching it and making it all wavy and wrinkly. 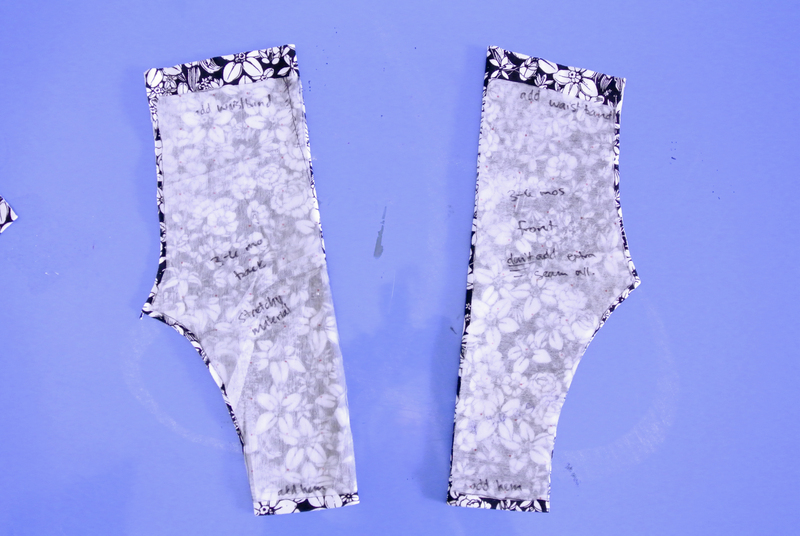 I had no idea that double sided fusible web existed. I was at Joann Fabirc lamenting my problem, when a kind lady let me in on the applique secret. It seriously changed my life! I now use it every time I sew a project. It makes sewing so much easier. Let me show you how it works. 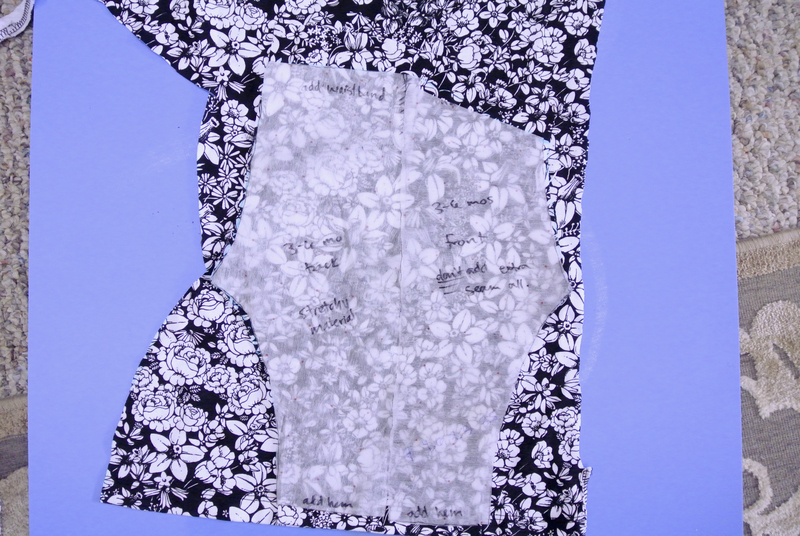 I usually start with ironing the fusible web to my applique material. 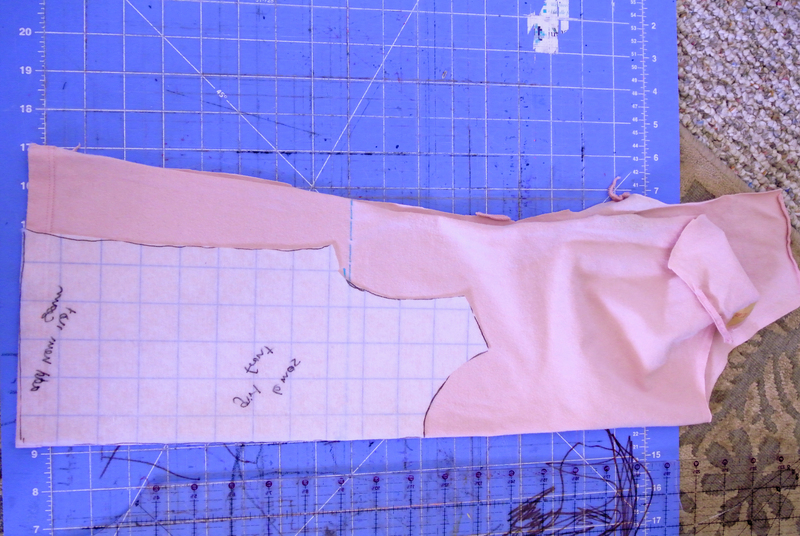 Then I draw the shape onto the back and cut out the piece. 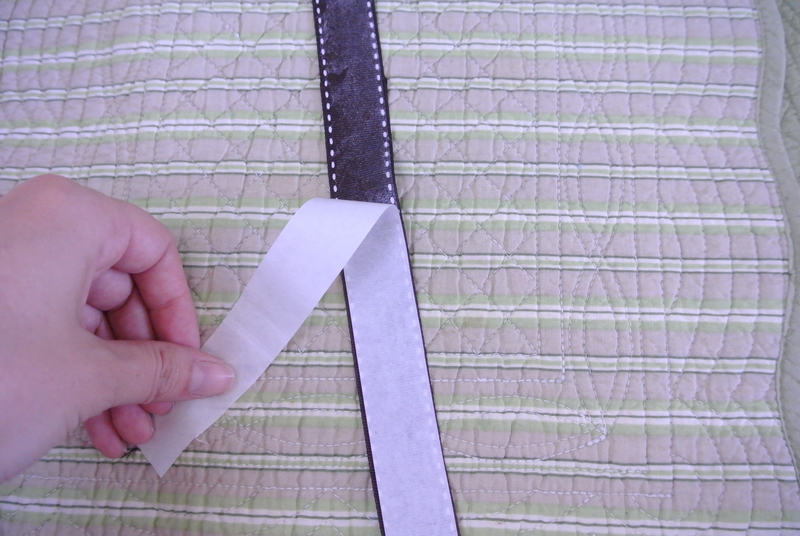 In the instance below, I just cut out a strip and ironed it onto my ribbon. 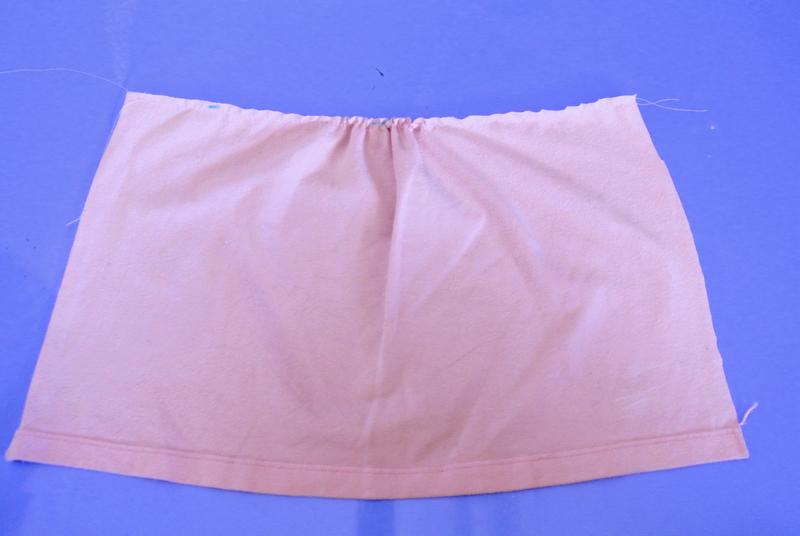 Now you pull off the paper backing, place it on your garment and steam iron into place. You can see that a very fine film is left behind. I like this kind because it doesn’t add bulk. 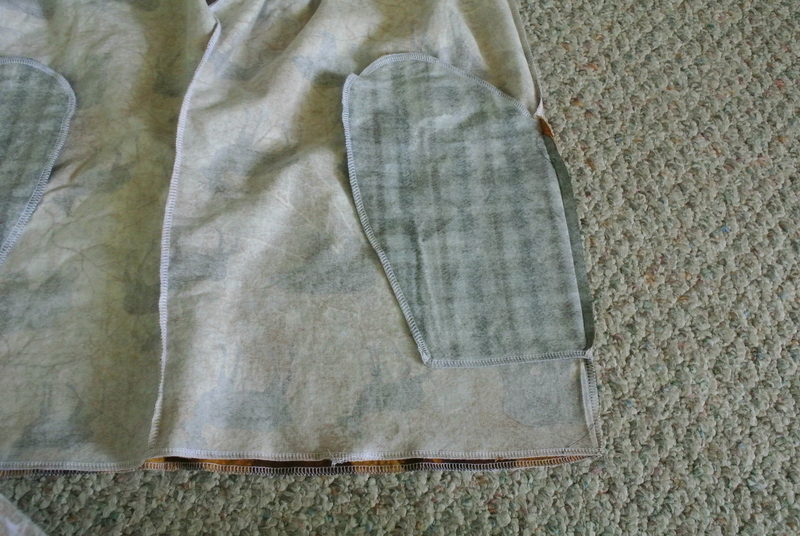 There is interfacing that will add more stability if you prefer. If you don’t like the placement, you can pull it off, re-position and re-iron. I love the fact that it’s fool proof. No permanent mistakes here. 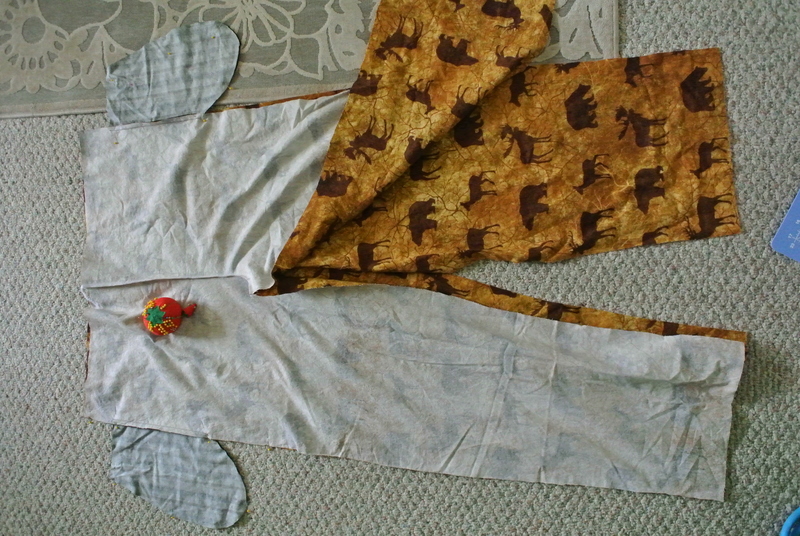 Now, I sew on the applique. I know that most webbing will say that you don’t have to sew it and that it will stay on through washing. I don’t believe ANY of them! I always sew it on just in case. 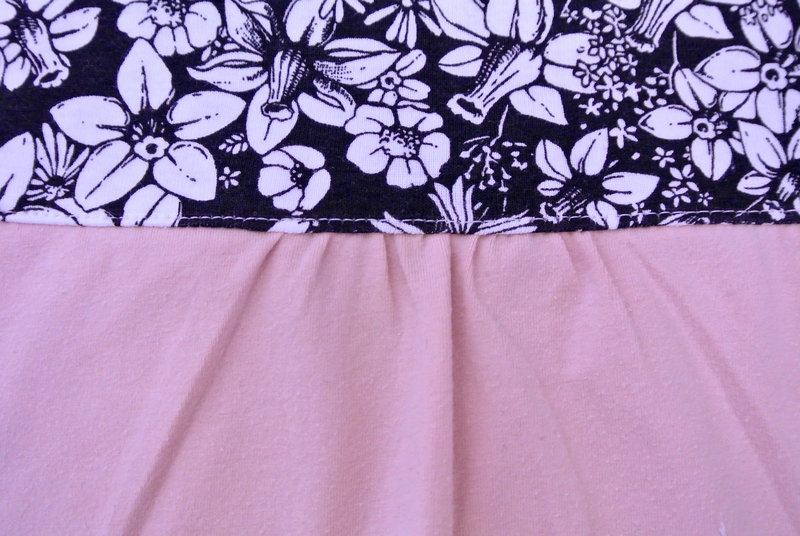 The good thing about it is that your fabric won’t stretch or distort or shift while you are sewing. That makes for perfectly flat applique. ENJOY! Does your baby also wake up looking like a mermaid? 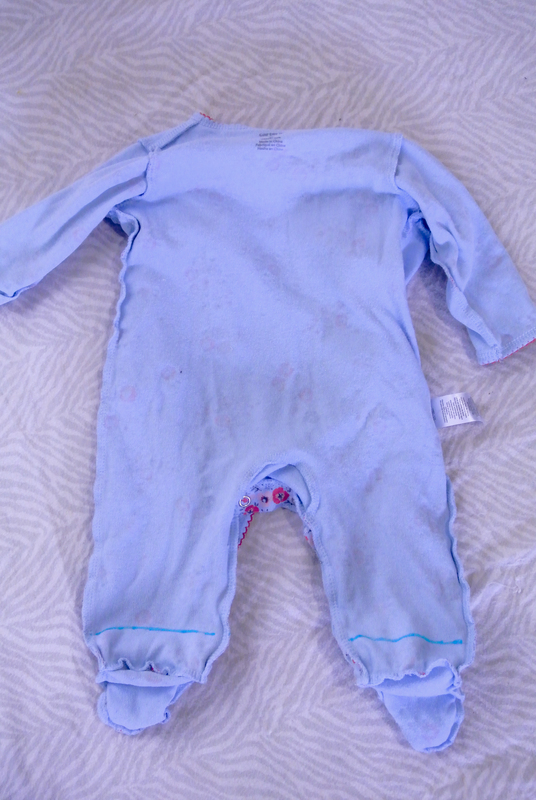 Mine wiggles a lot in her sleep and she somehow manages to get both legs stuffed into one side of her pajamas all the time. Poor thing. 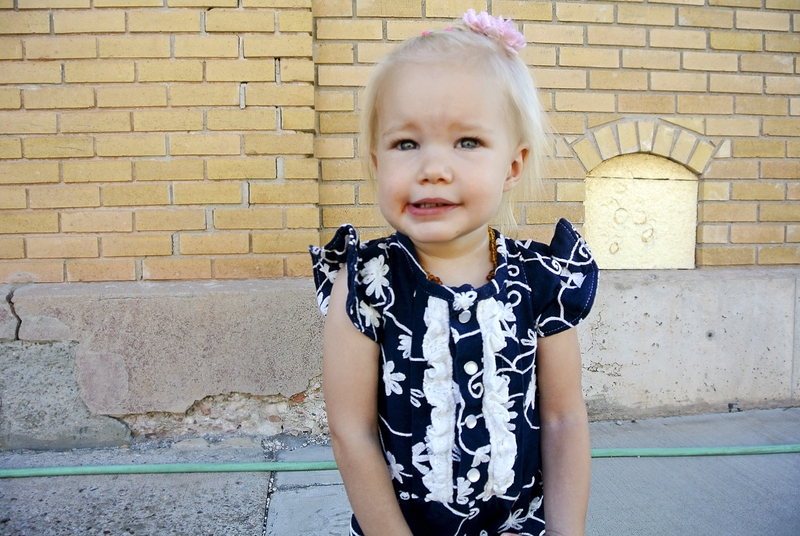 I guess she doesn’t look too sad about it, but it frustrates me to no end. They also limit her mobility in general during the morning as she gets all tangled up trying to do anything. 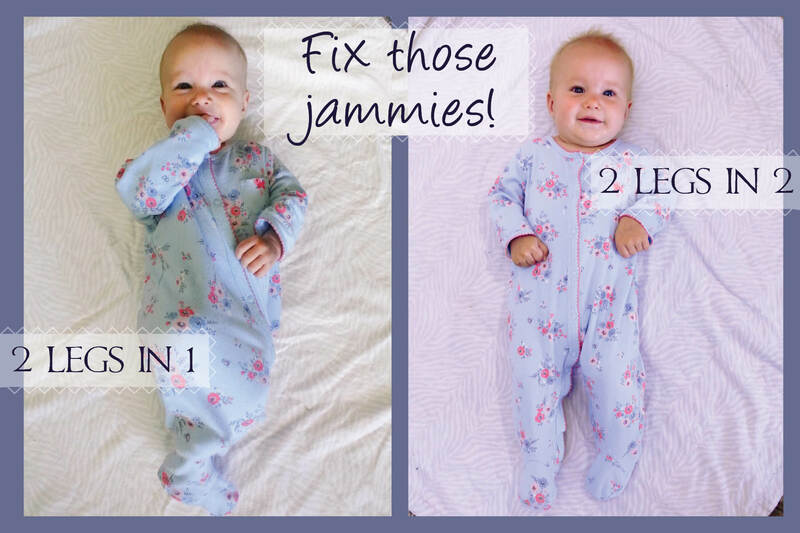 It’s funny because I know I buy cheap pajamas that don’t have elastic around the ankles, but I always think it will be fine and her feet will somehow magically stay in. Wrong wrong wrong. 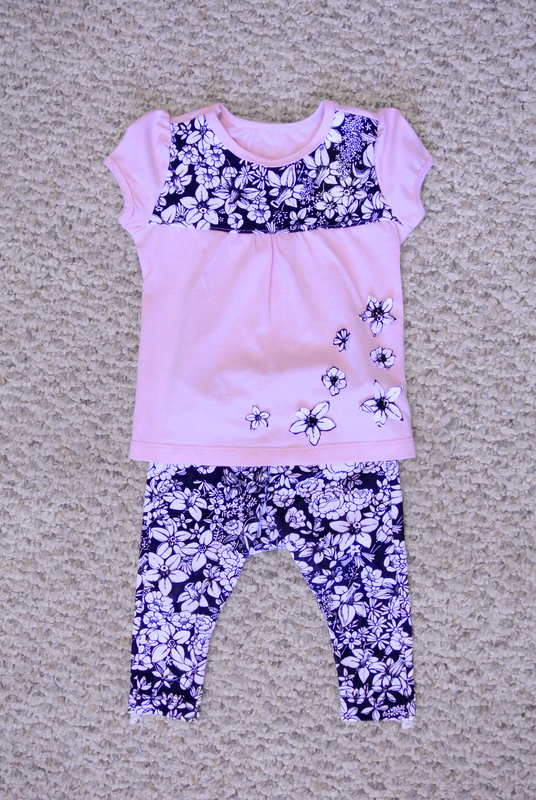 I just can’t resist a super cute pajama when I see one on the rack. To be honest, it’s usually my husband who can’t resist. It’s so cute seeing him get excited about baby stuff so I don’t say anything and we end up with 100 pairs. But not to worry. There is an easy fix! 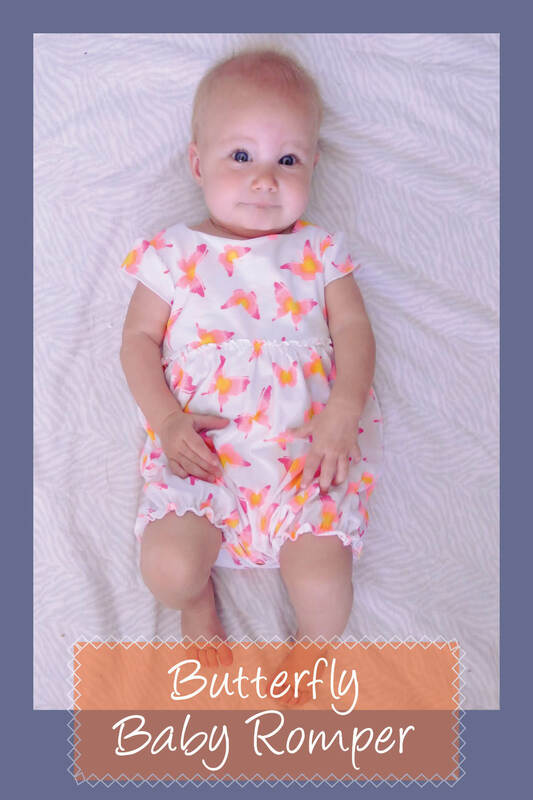 Turn those babies inside out and draw a line about 1-2 inches up from the heel. 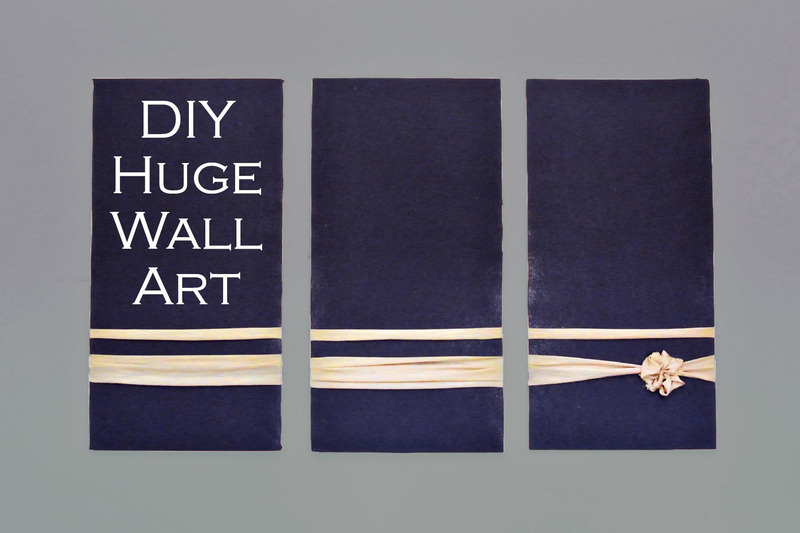 Now take a 1/4″ elastic and cut it to half the length of your line. 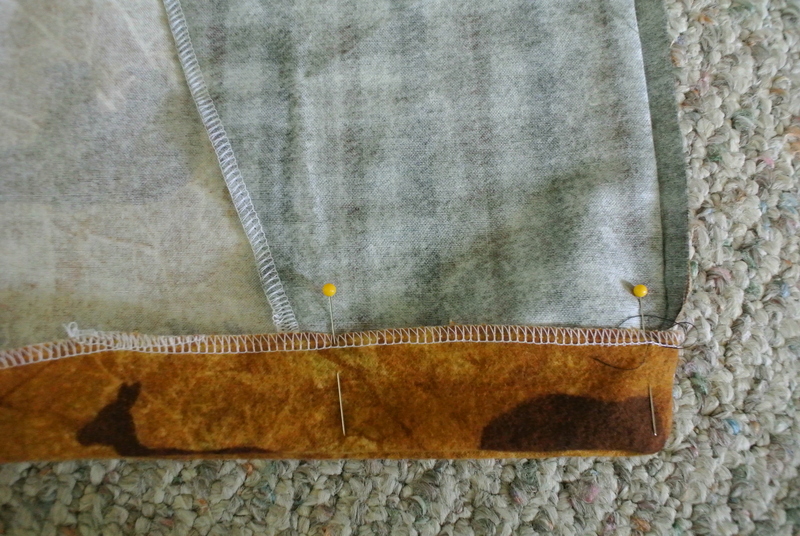 Now pin one end of your elastic to one end of your line and sew the elastic to the line with a regular straight stitch. Super super stretch it as you go. 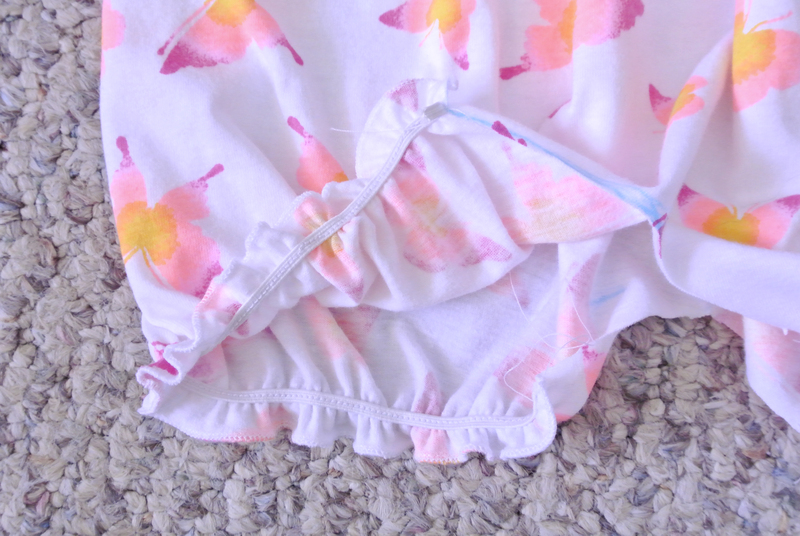 Don’t stretch your PJ material, just your elastic. 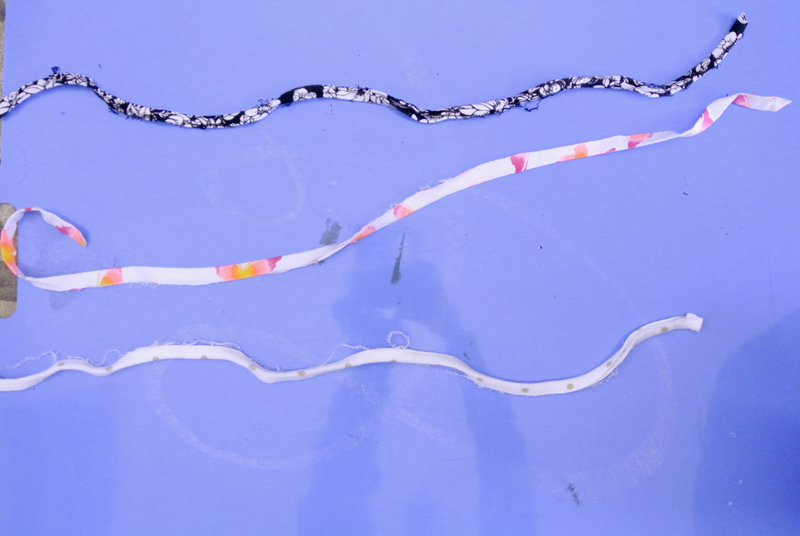 You should end up with the elastic stretching all the way to the end of the line. 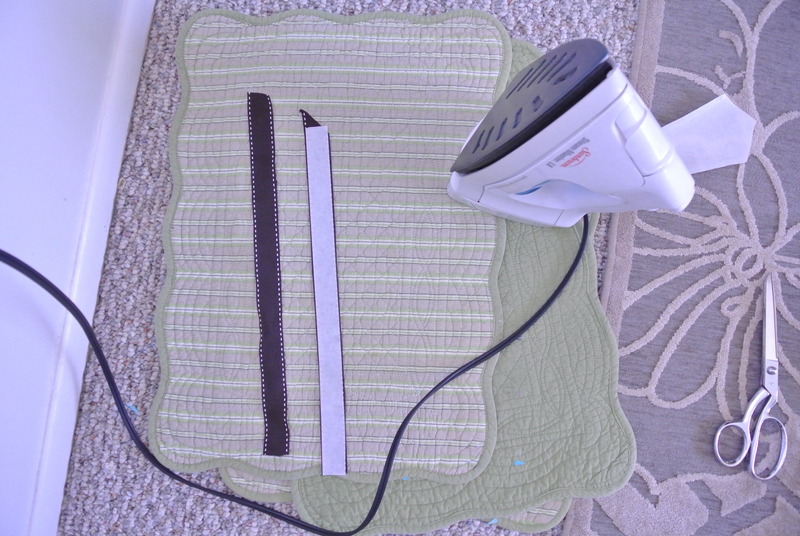 If your elastic is still flat after sewing it and you super super stretched it, you might just need to steam iron it to get it to shrink down to look like the picture above. TA DA! 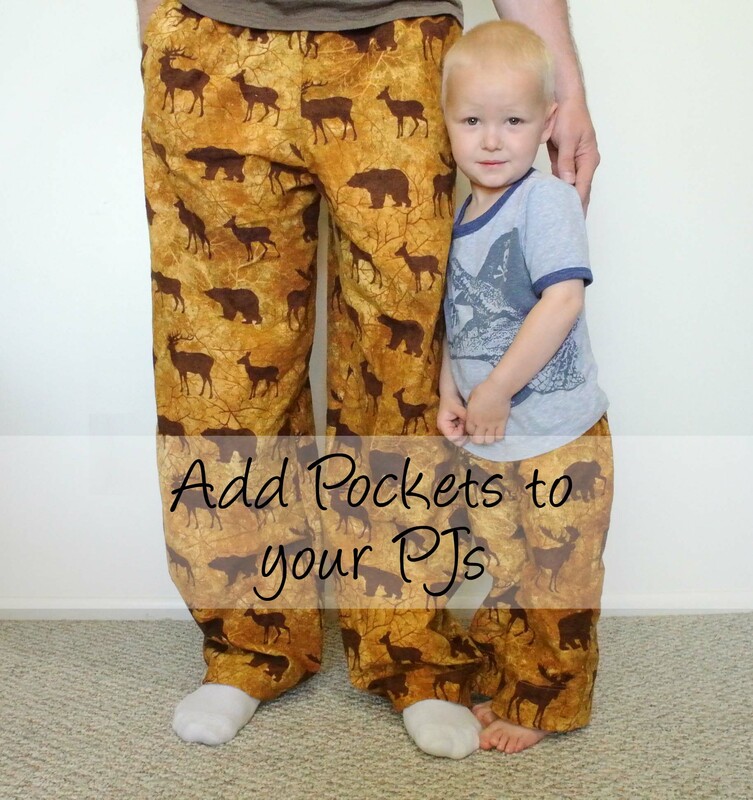 Why haven’t I done this to every pair of pajamas? 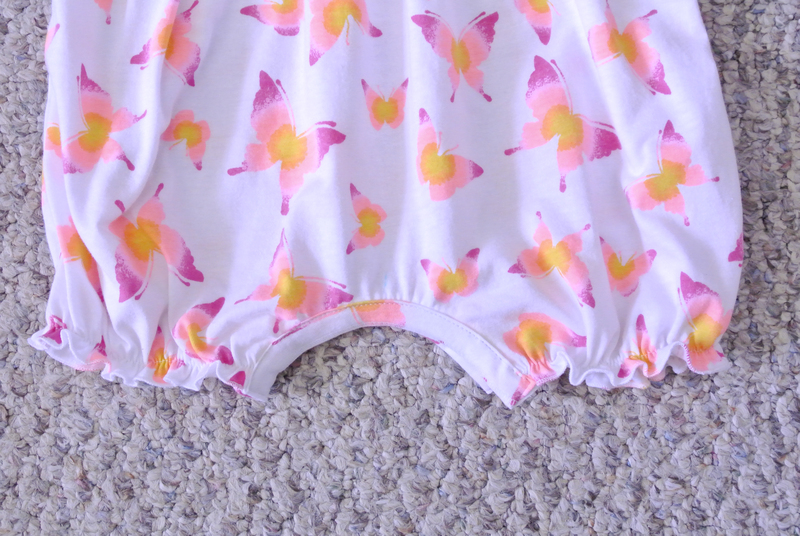 This particular pair is really wide around the ankles so I might have to sew one on the front of the leg too. It works like a charm though. No more mermaid baby… I might miss it though. She makes a cute mermaid. I have this huge blank wall in my rental home that has been left empty for 2 years. I never thought we’d be here this long and I didn’t want to spend any money fixing the place up if we were just going to have to pack it back up/throw it away. I’m not really the decorating type to begin with anyway. I have this girlfriend who is in the same boat. 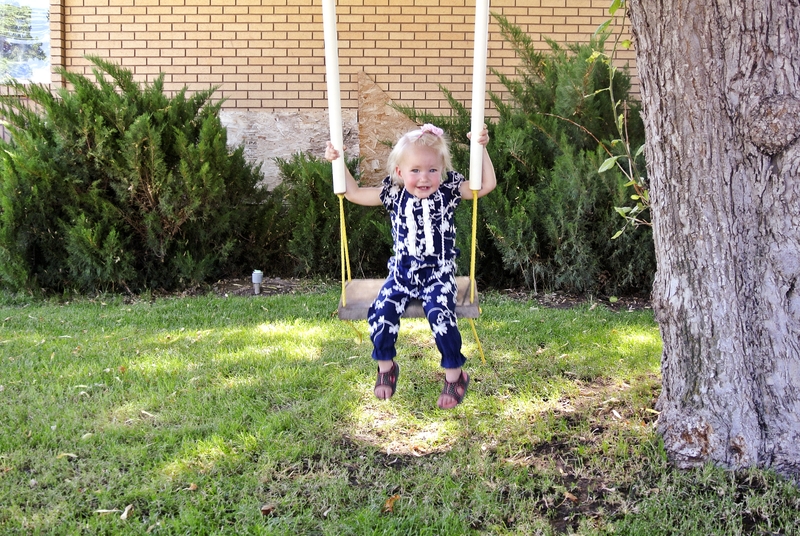 A couple of months ago, she decided that enough was enough and she was going to decorate. I’ll admit, it made me feel like I wasn’t trying at all. So… I whipped up this amazing large art piece and whalla! 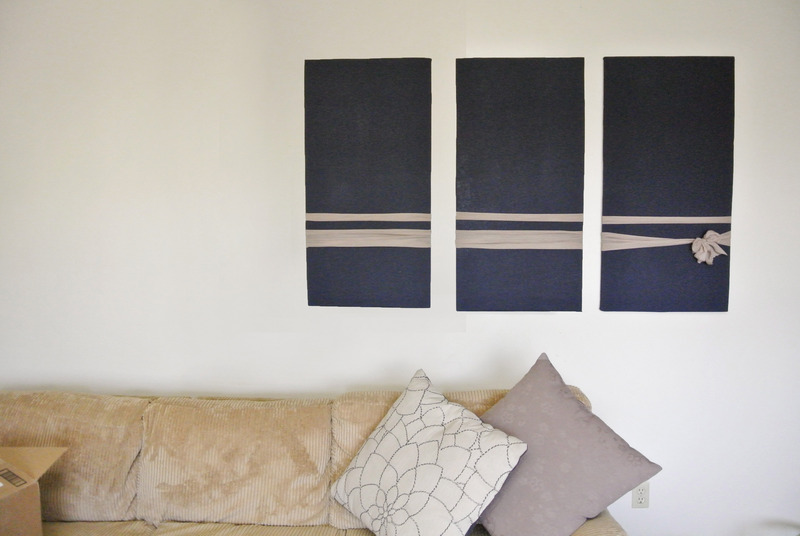 Cheap living room art IS possible. Honestly, I’m not a good photographer and the pictures don’t do it justice at all. It’s about 5 feet by 4 feet and matches really well with my DIY pillows. The picture below should give you some scale. I adjusted the bow and position of the stripes after I took this so it’s not perfect. Next, I’m going to put up some photos to the left and I think I’ll be all set for decorating for the rest of the year. First cut out your foam board. I would know what measurements you want beforehand and have the guys at Home Depot cut it for you so it will be square. Mine is obviously not square. 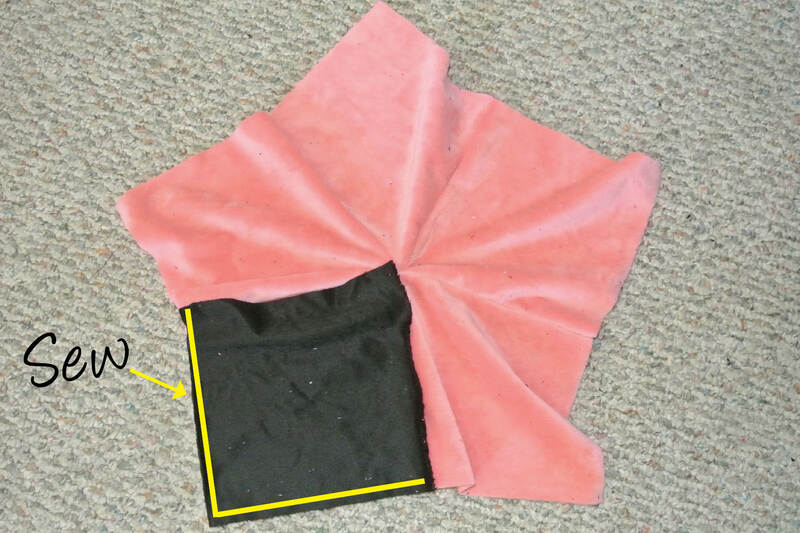 Cut out your fabric 1-2 inches bigger than your board so you can fold it around the back. 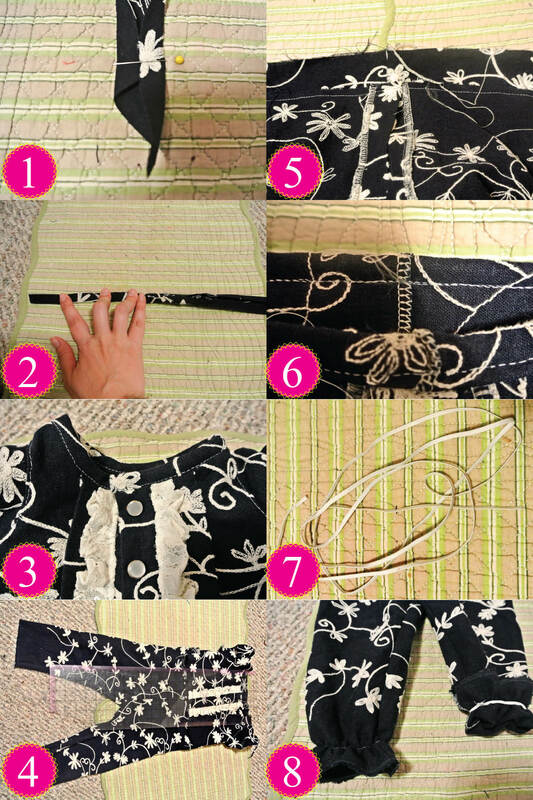 Pin your fabric to the back. For my stripes, I literally wrapped them around and tied a knot in the back. No pinning necessary. For the flower, I just tied a bow in the front and used my pins strategically to make it look like the picture. I used about 4 so not really a lot of fuss over it. You can see in the couch picture what it looked like before I pinned it. The other great thing about this is it’s light. I just tapped a few finishing nails into the wall and stuck/pressed the board right onto them. If you don’t like the placement, it’s easy to pull it off and re-position. I love art that is easy to hang. You can go crazy with the fabric. Mine is pretty boring. 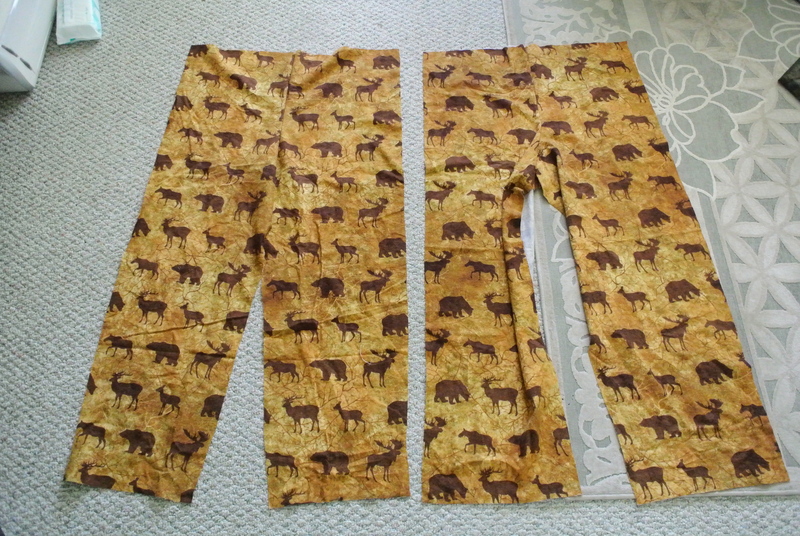 I was even thinking, if you are an artist, you could paint whatever you want on the fabric. (My sister wants hers to have peacocks) The awesome thing about this project is that you can make it your own style pretty easily. My $5 fabric happened to be a tad bit too bright to match my living room so I just threw it in the bathtub with hot water and 2 cups of bleach for 15 minutes and it came out perfectly. It sounds so hassle free when I put it like that. Really what happened was, I bleached the first batch so much it turned purple and I barely had enough to bleach a second batch. 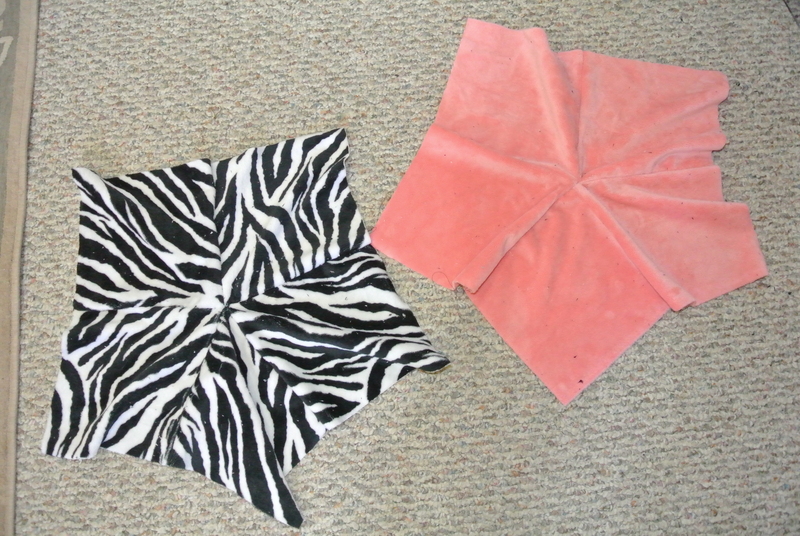 My fabric pieces ended up being a tad bit too small so rather than buy more fabric, I got them wet and stretched them out. I then had to super stretch and pin them on to get them to wrap nicely around. It was a pain. Make sure you don’t cut yours too small. Good luck. I’d love to see your rendition! 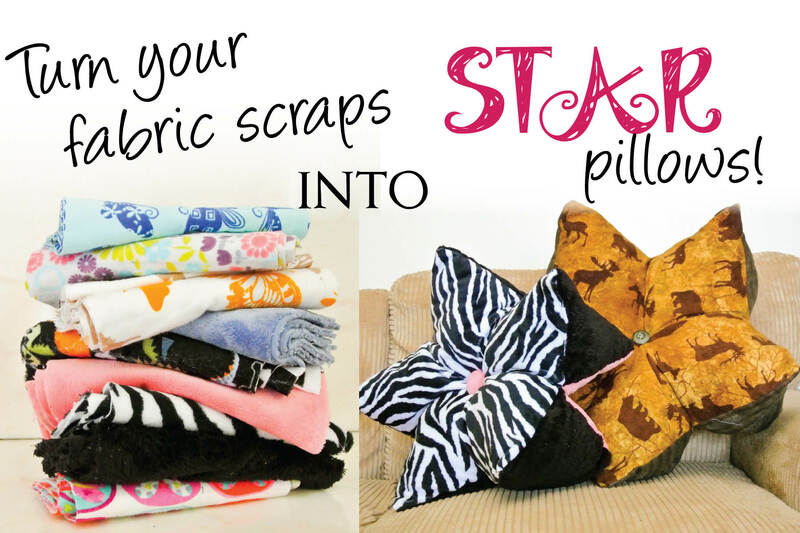 I don’t know about you, but I have a ton of NICE fabric lying around from PJ pants, minky blankets and other projects. I tend to get way too much material “just in case” and then have a bunch of extra left over. 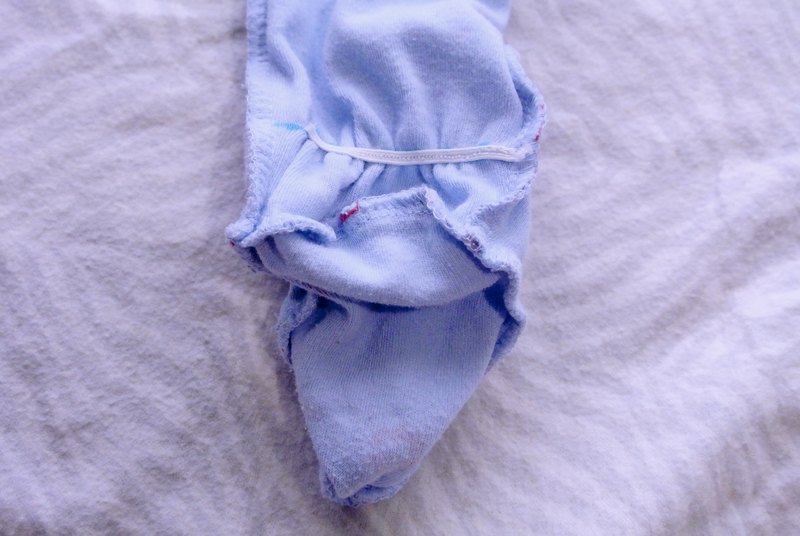 It isn’t enough for another blanket, but it’s enough that I don’t want to throw it away. That stuff is expensive! A while back, I made my sister’s kids some baby blankets out of minky. I’ve held onto the extra material for the last 3 years and now I’m making both her kids matching pillows! Yay! On to the pillow! …that was a lot of exclamations… phew. The first thing you want to do is cut out all of your squares. Be very precise when cutting. 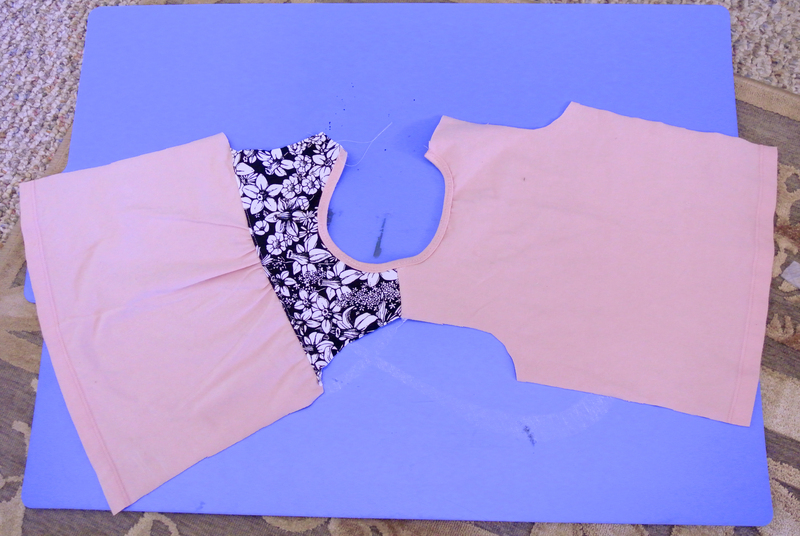 It helps to cut them out one at a time instead of layering fabric and cutting a few at a time. 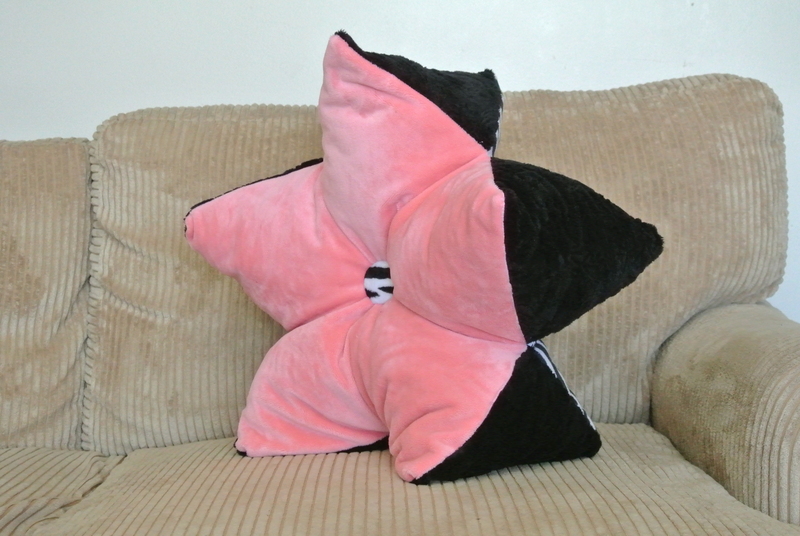 Your pillow will go together much more smoothly if your squares are all EXACTLY the same size. 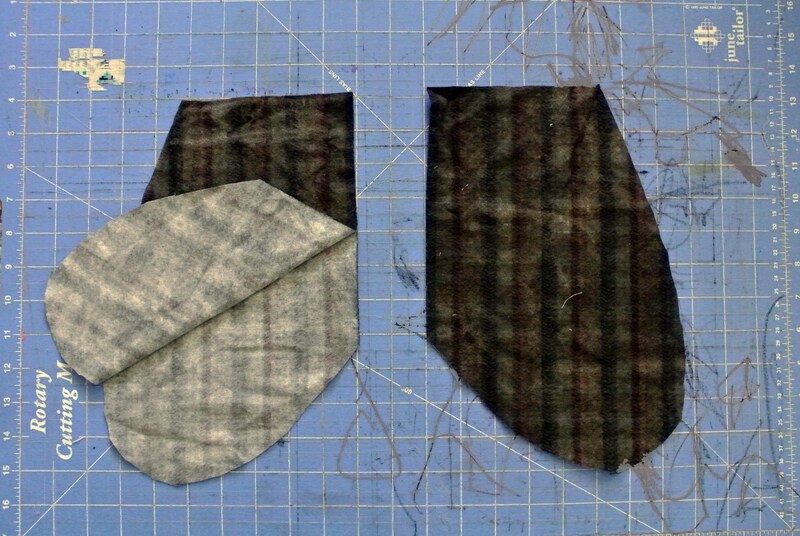 If you have a pattern on your fabric that goes vertical/horizontal, it would look best if you cut your squares on the bias. That way the pattern will look towards the center and go around in a circle instead of being perpendicular. But, we’re using scraps here so waste not right? 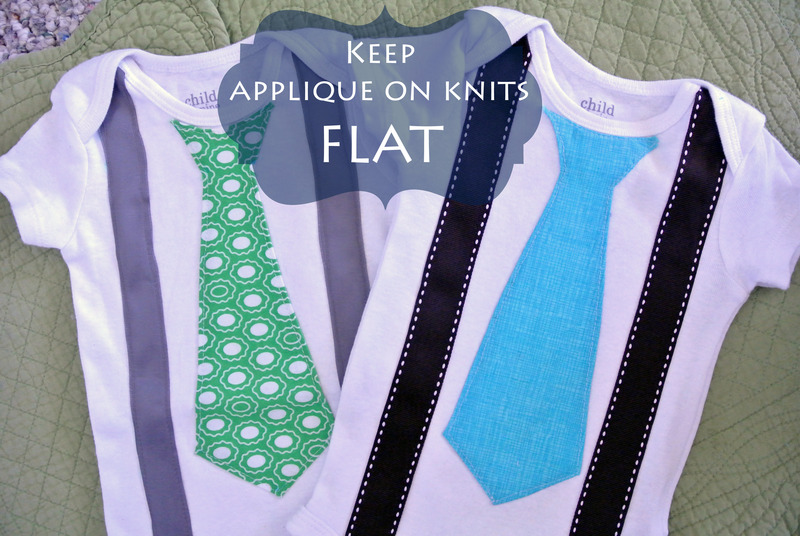 When you’re cutting, consider how many colors you want and what your pattern will be. That sounds like a no brainer but I thought that I could do both sides of my pillow in pink and zebra… Obviously that didn’t work out. You can’t really use only 2 colors on the front/back unless you’re OK with 2 of the same color touching. So I tried to add a third color… fail. I’ve decided that this only works if you have ALL the same color or ALL different colors. The next step is crucial. It’s something I almost never do. It just takes up too much time for a regular project. I’ll tell you a little about me. If I can’t finish a sewing project in 1 or 2 sittings, I’m not going to do it. Period. That’s one reason I don’t unpick my mistakes… it takes too much time. I just throw them away and start over. With that attitude, I tend to cut a lot of corners. I don’t do things like iron, mark or meticulously measure. So when I tell you I did this you know it’s essential. 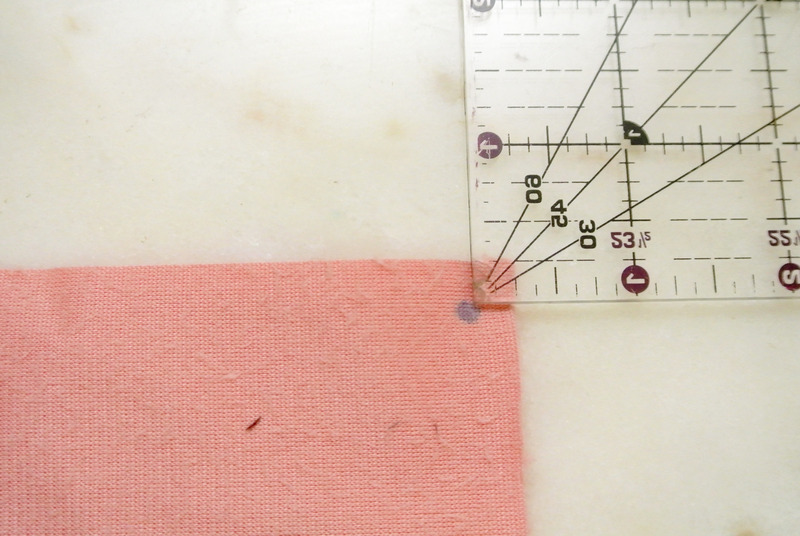 Using your marker, mark EVERY corner of EVERY square with a dot 1/4″(my chosen seam allowance) from both sides. (We’re marking the wrong side of the fabric of course.) 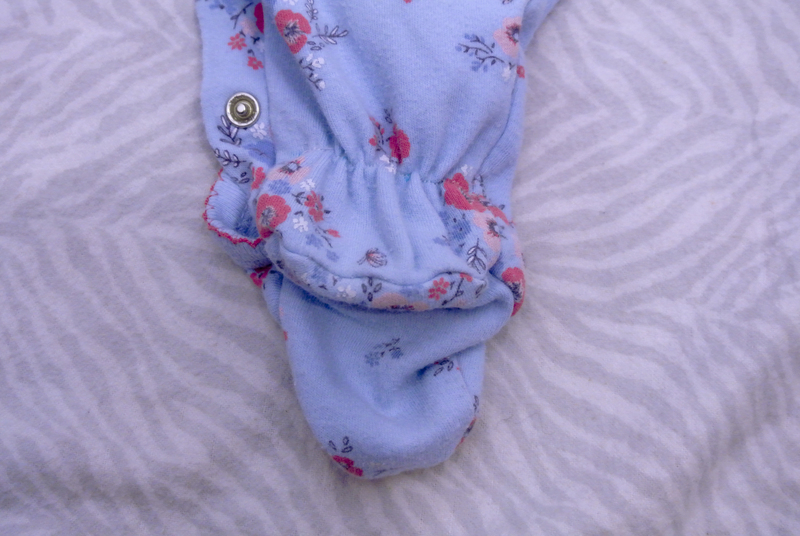 I made a mock-up mini-pillow as well as a pillow for my son without doing this, and my corners turned out awful. Just do it. You won’t regret it. Now the sewing begins. It’s all pretty straight forward. 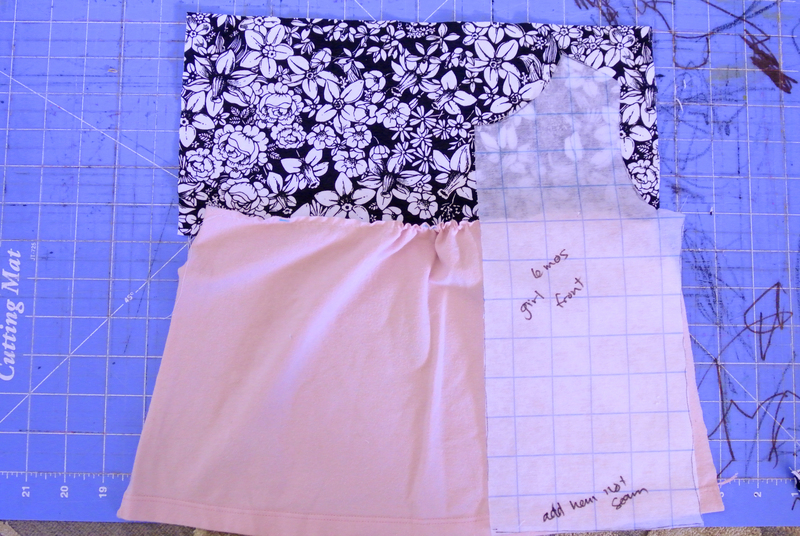 You are pretty much just sewing one square to another the whole time. No curves, tucks or manipulations. The thing you need to remember is to USE YOUR DOTS. 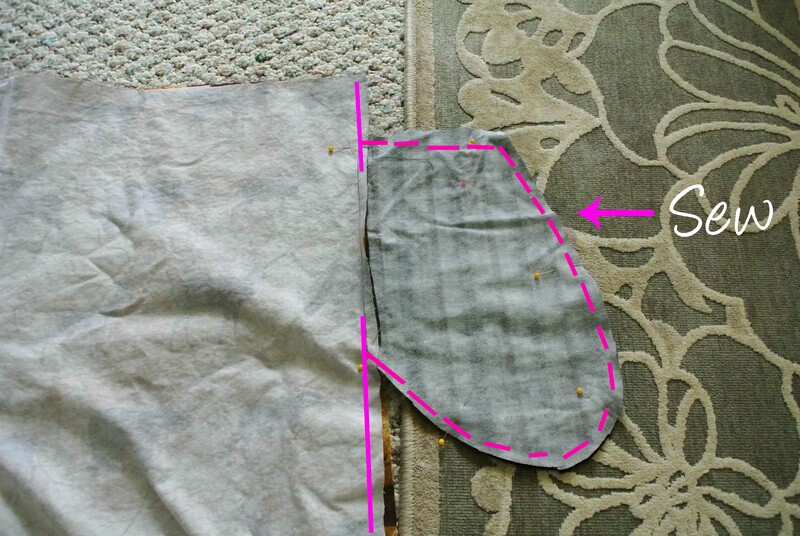 Always place your squares right sides together and start sewing right on the dot. 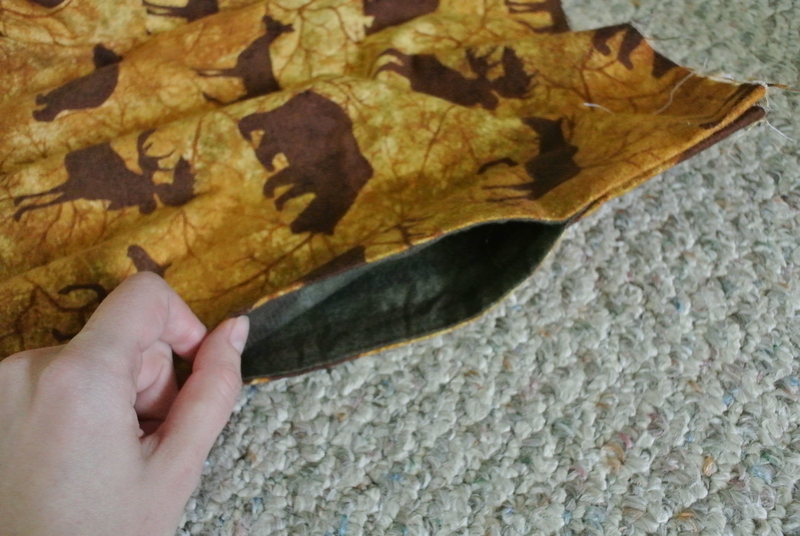 Stitch back and forth a few times because you won’t necessarily sew over it to keep it from unraveling. Sew right to the next dot and STOP don’t go any farther. Stitch back and forth a few times here as well. Be exact. You will regret it if you aren’t. 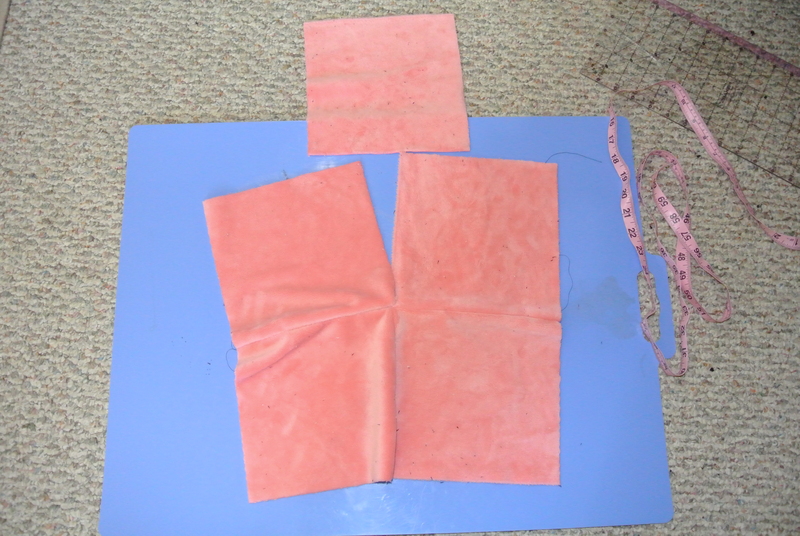 Sew 4 squares together as if you are going to make a regular block. Leave one side open as shown below. Insert your fifth square in into the gap. The picture below is a little confusing because you will have to turn the square like a diamond to fit it in the gap. 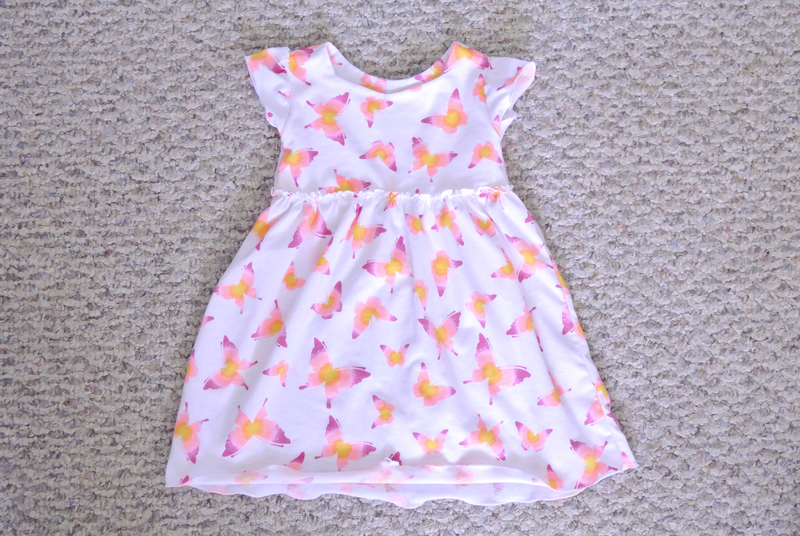 When sewn it won’t lay flat, but that means it will be 3-D.
Easy peasy right? 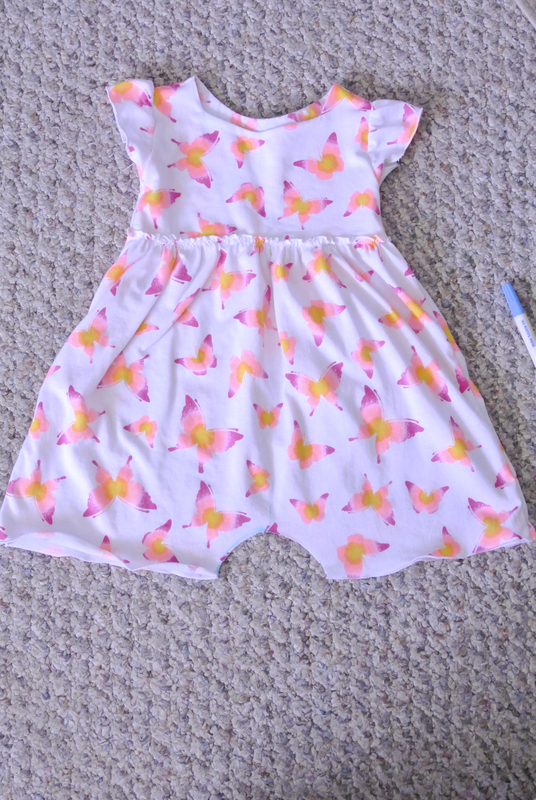 Now sew another one. You now have a front and a back. Yay! 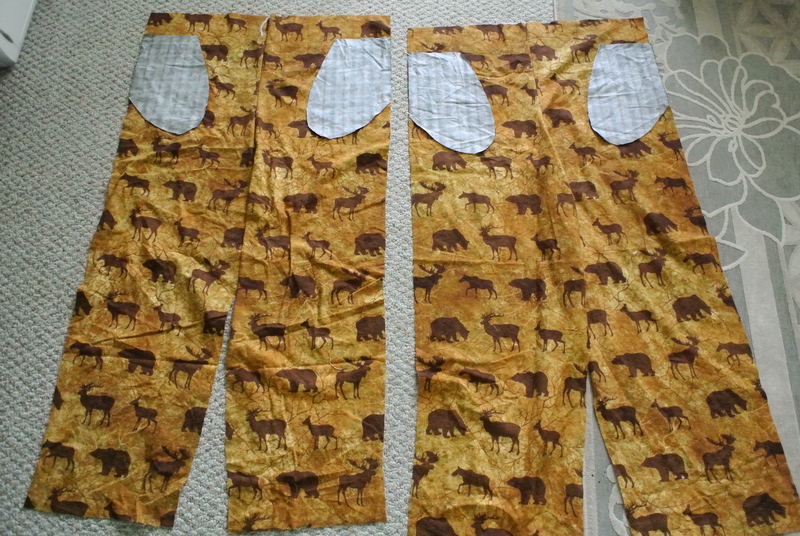 Now comes the hardest part… not hard to sew, just hard to explain in pictures. 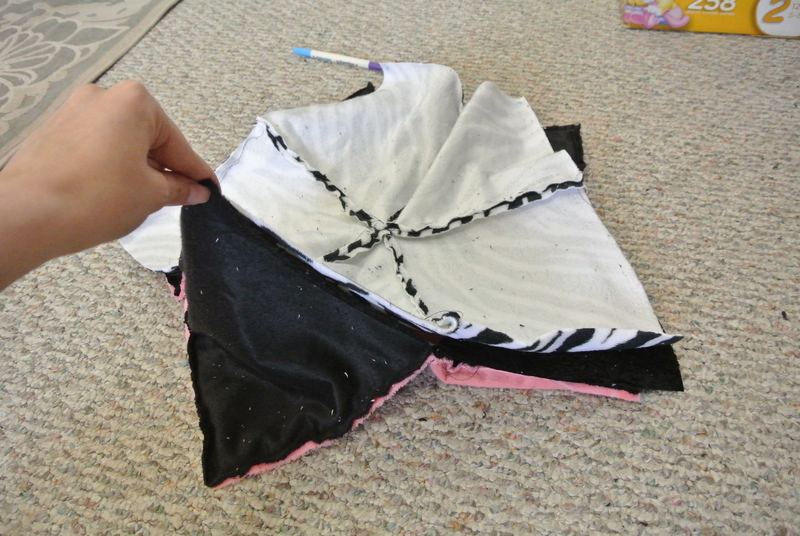 Take one of your sewn stars and lay it right side facing up on the floor/table. Now lay one of your squares right side down on top of one of the squares of the star. 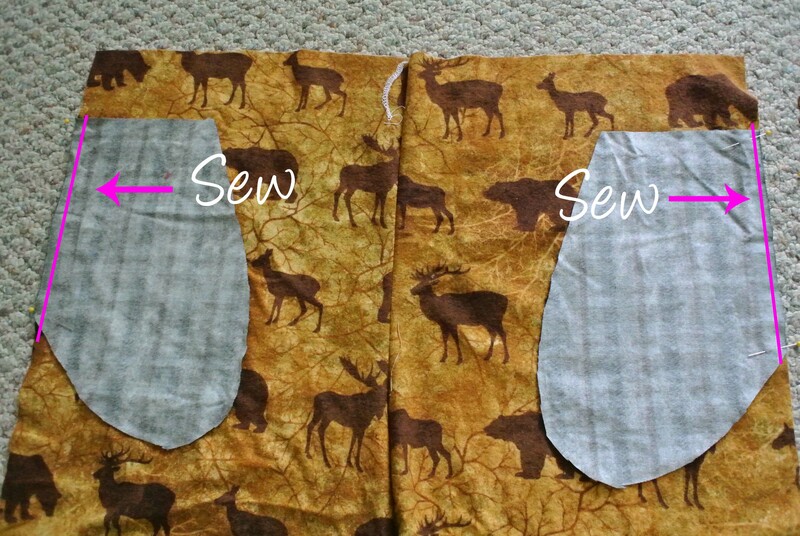 Now sew the 2 outside edges together making sure to USE YOUR DOTS. P.S. I hate sewing with minky… it gets EVERYWHERE as you can see in the picture. OK. So I didn’t take a picture of this step but we’ll try to work with what we’ve got. In the picture above, I’ve folded out the black square on the bottom so it looks like a triangle. Do that with all 5 black squares. (Yours will be a different color I know.) 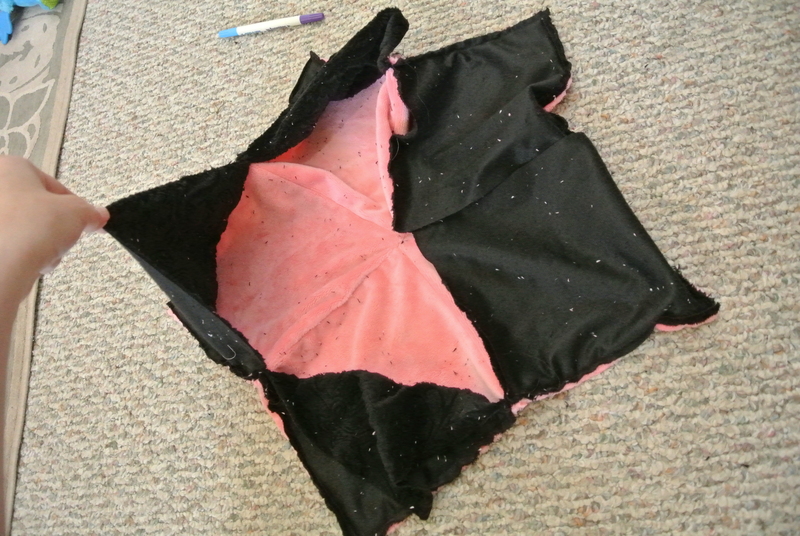 Now lay your second star piece right side down on top of your folded triangles and pin all around. 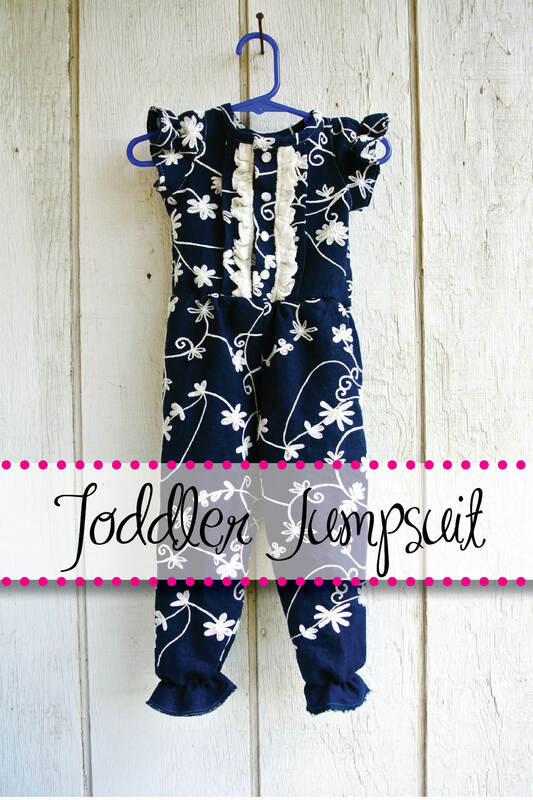 Be sure you are only pinning the top to the black square and not to the bottom. The points don’t matter as much but pay special attention to pinning the inside corners of the star. 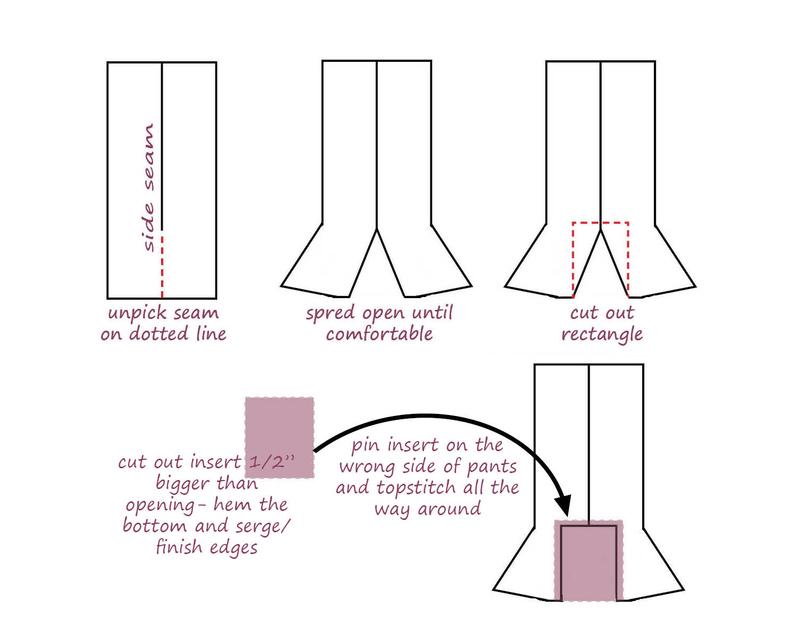 Match up your seams perfectly and pin them in place. This will make or break your pillow. It’s also where it will show if you didn’t USE YOUR DOTS. 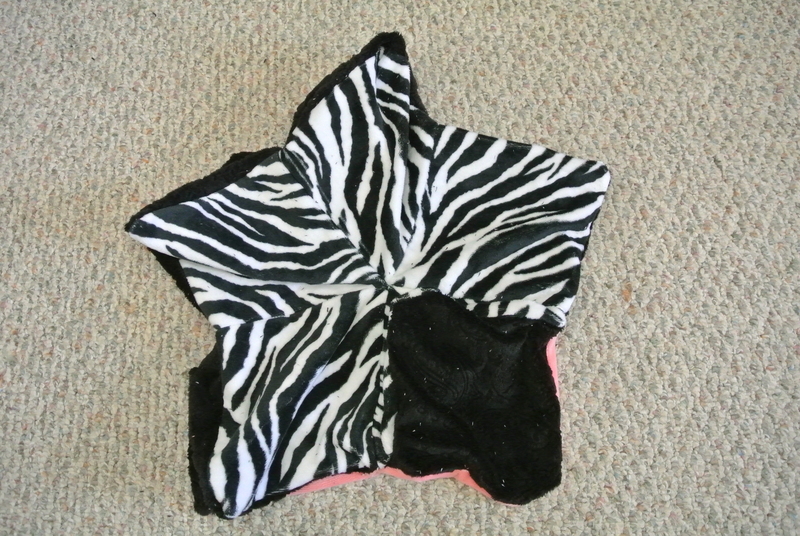 Now you will sew all around your star, leaving a hole big enough for your hand to fit through for stuffing purposes. When turned right side out, it will look like this. I’ve turned up one corner so you can tell how it was sewn. The last steps are pretty basic. Stuff your pillow through the hole. Be sure to use good stuffing that won’t go hard and flat. I used this stuffing because it’s sooooo fluffy. There are higher quality versions out there, but they are MUCH more expensive and this does the trick. I haven’t found a polyester stuffing that I love. I think they all go hard after a while and they are difficult to re-fluff… is that a word? Let me know what you use. I’d love to hear. Now you can either hand-stitch the opening closed or, if you are lazy like me, you can just topstitch the opening closed on your machine. 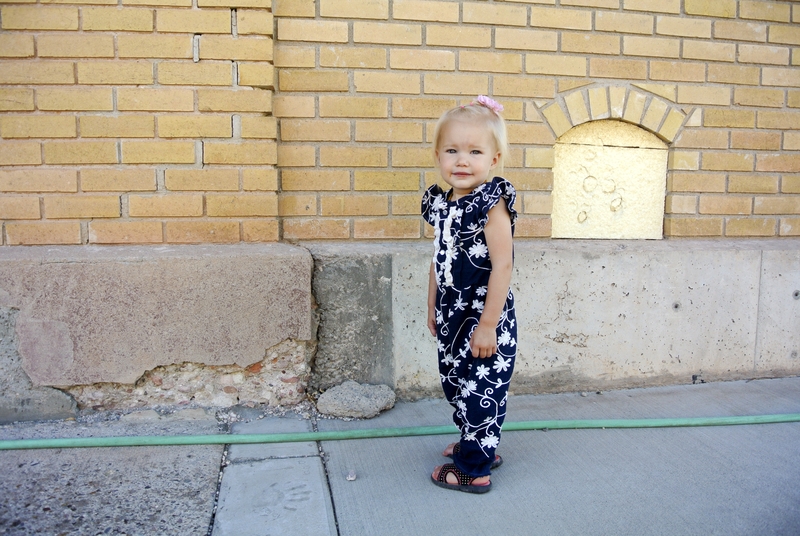 No one will even notice… especially if you are using minky. The last thing you want to do is put on your buttons. Cover them with your material as per the instructions on the box. No equipment is necessary. 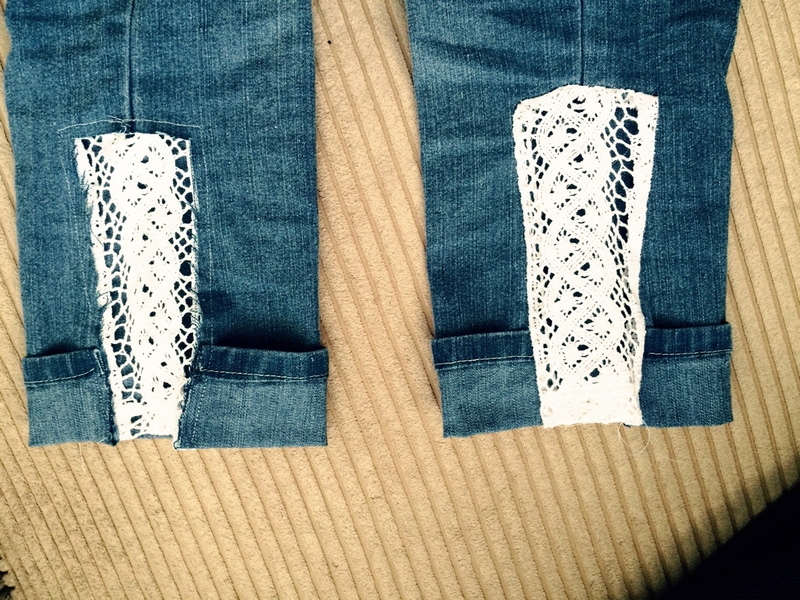 Before hand-sewing them on, I like to make it a bit easier on myself and pre-squeeze my pillow. 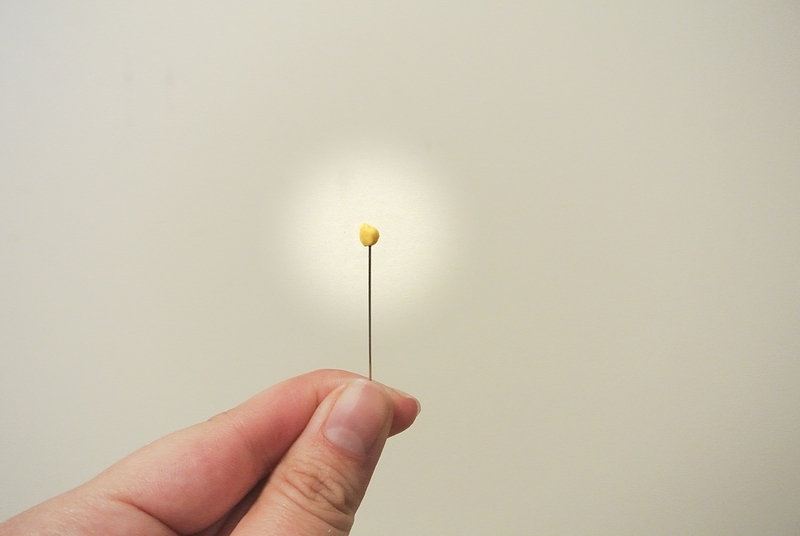 To do that, take a LONG needle and thread it. 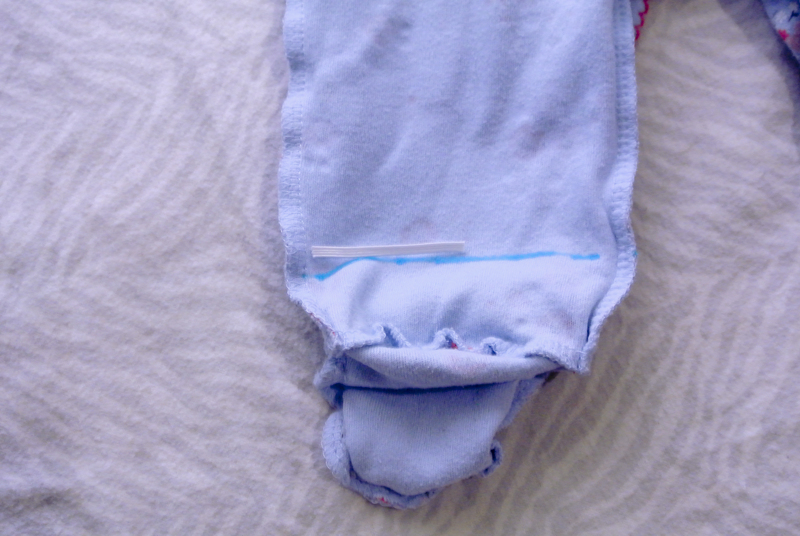 Now press the middle of one side of your pillow tightly to the other sides middle… you know… so you make it indent. Now sew through the middle on one side straight through the middle on the other side and then back out the original side. Pull it tight to keep the indent and tie off. 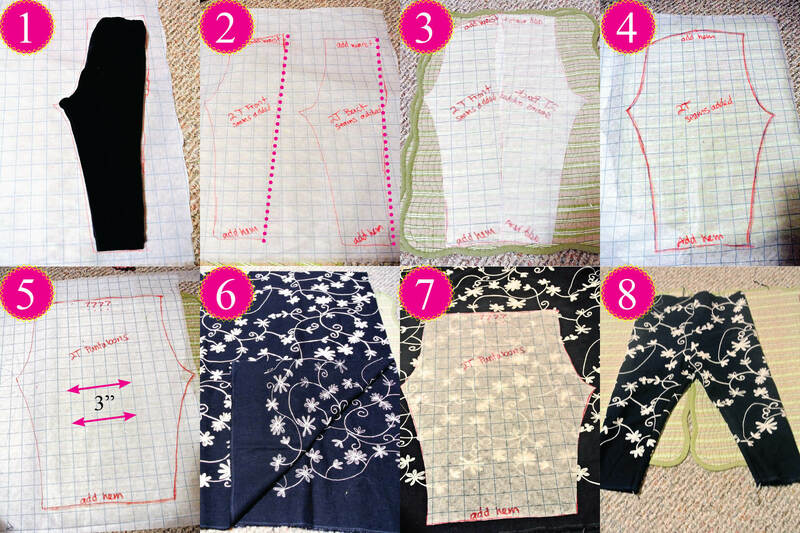 Now sew on your buttons and you’re done! It seems really complicated and I tried to show a lot of pictures, but it’s pretty simple. Don’t over think it. 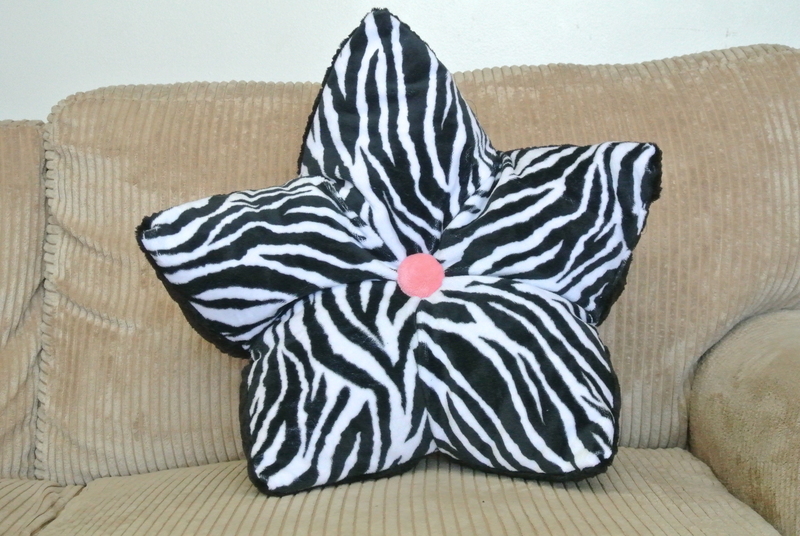 I’m so excited about this pillow and I will be making a bunch more before the week is out. I hope you love it too!